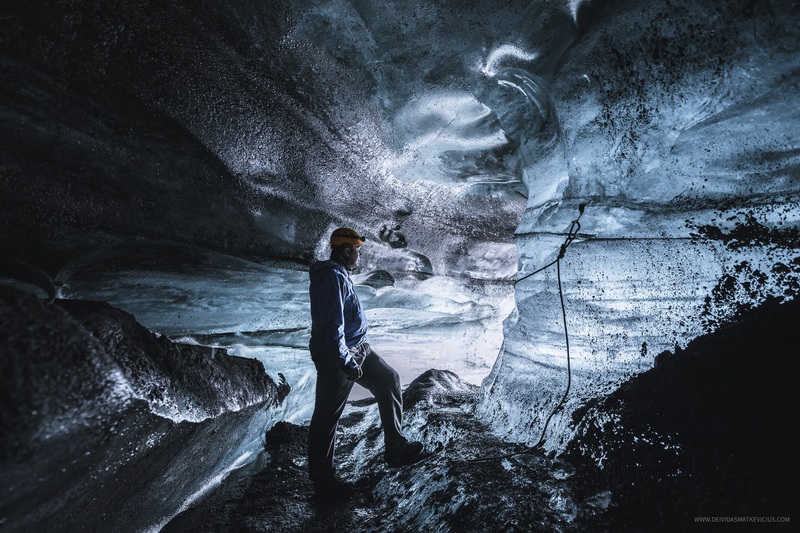 Join this brilliant "Fast Track" Ice Cave tour, hands down the fastest way to experience the joys of ice caving in Iceland. 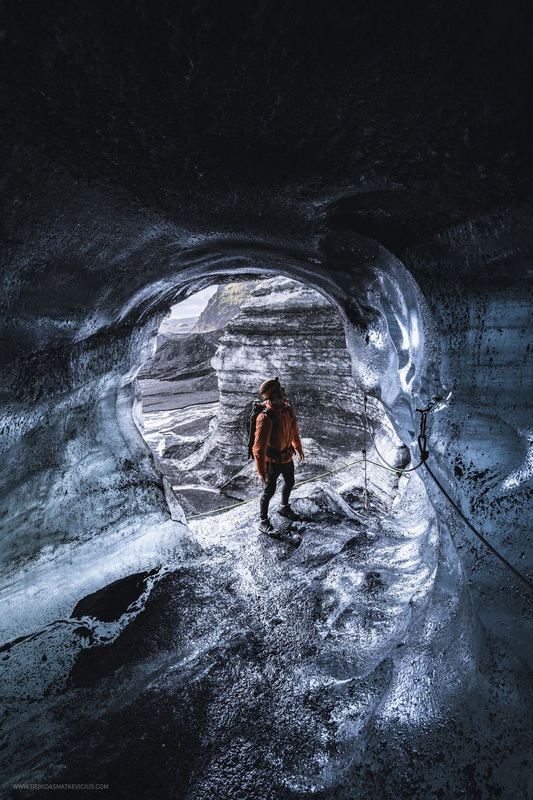 This is the perfect tour opportunity for those travellers a little pressed for time, but still hoping to fit a spot of ice caving into their schedule. 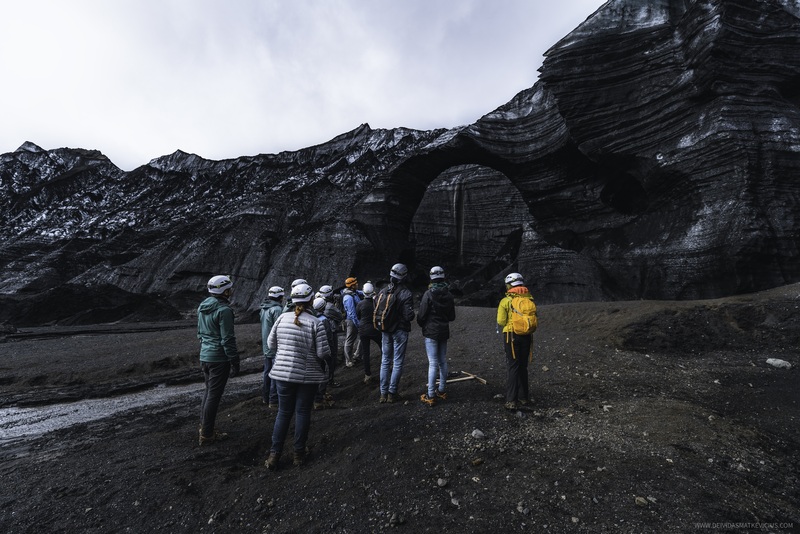 This tour will begin from the meeting point in the village of Vík, from where you will embark on a beautiful and exciting Super Jeep ride to one of thirteen glaciers in Iceland, taking no more than an hour's travel. 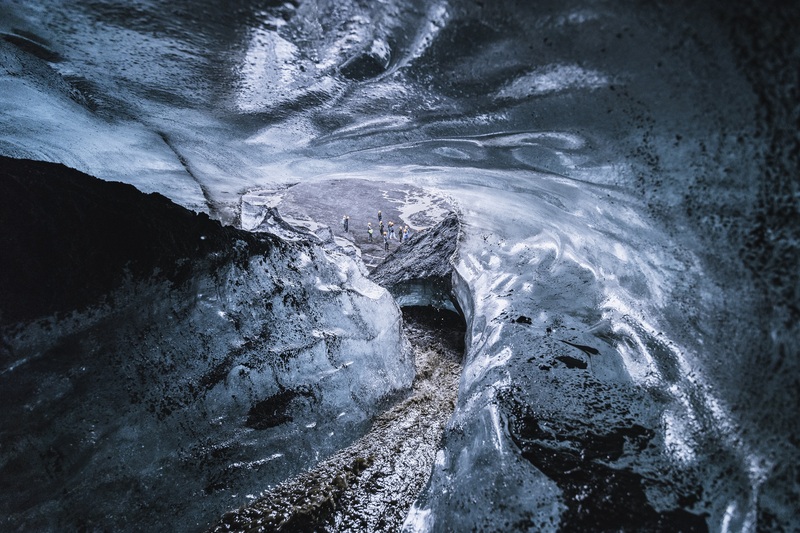 Throughout your transfer to the ice cave, you will be privy to a wealth of gorgeous scenery, ranging from distant mountainscapes to the rugged coastlines of the South Coast. Once at the glacier area, you will borrow gear (i.e. helmet, headlamp, and crampons, etc.) and listen as your local guide provides an educational brief on safety and what to expect in the ice cave. You’ll then take a super fun walk to the glacier ice cave (5-10 minutes) and go inside to explore it. Inside of the ice cave, you will have your mind blown by the stunning shades of blue. Skidding, scooting and shuffling your way through this fantastical, subterranean world, you'll pass intricate, naturally formed ice sculptures and glittering tunnels, proving once and for all that ice caving takes any holiday experience to the next level. 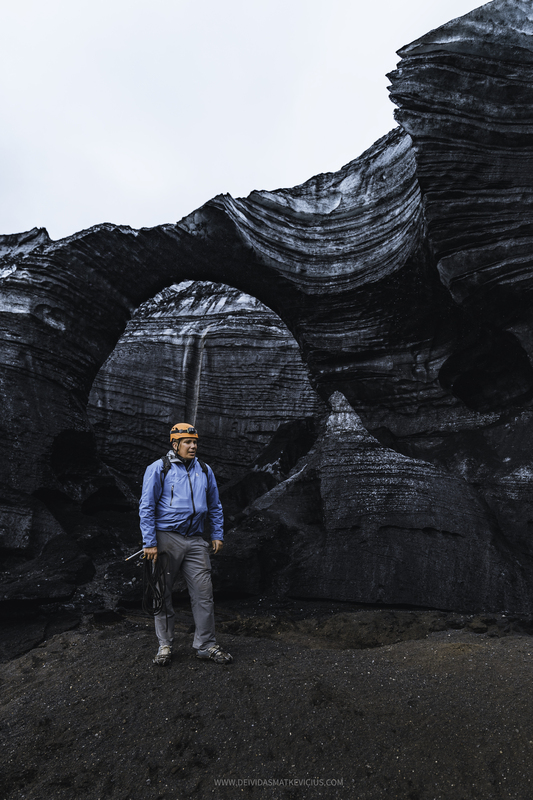 You will have a total of 45-60 minutes in the glacier area for photos and exploration. Your local guide will give you a little more insight into how the ice cave was formed and answer any questions you may have. After ample time for your photos and selfies, you'll hike back out and take the gear off. Then it’s time to get you back to the village of Vík so you can continue with your plan for discovering Iceland! So what are you waiting for? 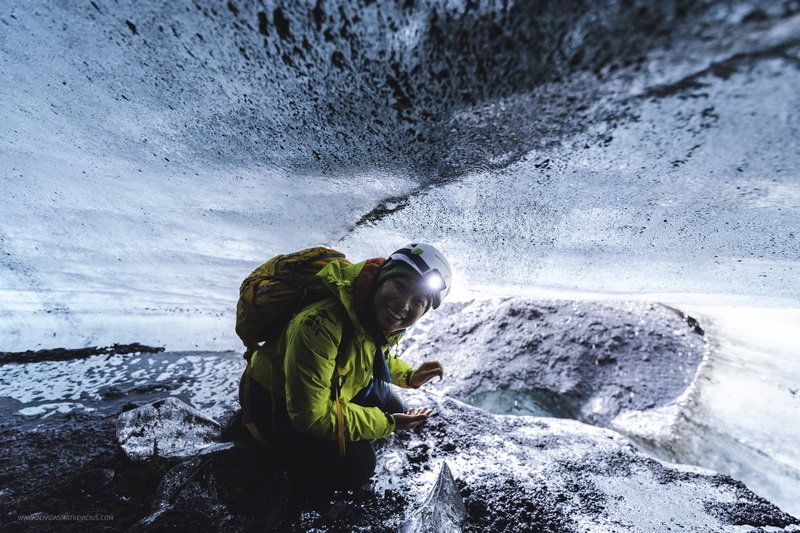 Hurry now, and you too can experience the joys of ice caving in Iceland! Check availability by choosing a date. Departure time : 09:00, 12:30. Find the wooden cabin on the right site of the N1 gas station. You will find our super jeeps next to the cabins. Our 3-hour glacier tour was the absolute highlight of our trip! The super nice & knowledgeable guide took us out to a glacier that was just a quick walk away from the car. We had ample time to explore on our own, he took incredible photos of my husband and I, and provided information on what we were seeing. We ended the trip with a ride along the beach. Absolutely worth every penny and made for some incredible photos/memories! It is amazing to ride on superjeep, short walk to the icecave and feels like the winterfell from game of throne. Really recommended this local tour. This tour is a great way to explore an ice cave and still have time for other activities in the afternoon. The tour starts with a rugged super hero drive through the valley featured in Rogue One. After putting on crampons, it is a short walk to the ice cave. Our guide was very knowledgeable and checked for safety before we entered the wonderous ice cave. We had plenty of time to explore and take photos. We ended the tour with an Icelandic toast. We would highly recommend this tour and KatlaTrack. We had the best time ever with this excursion. 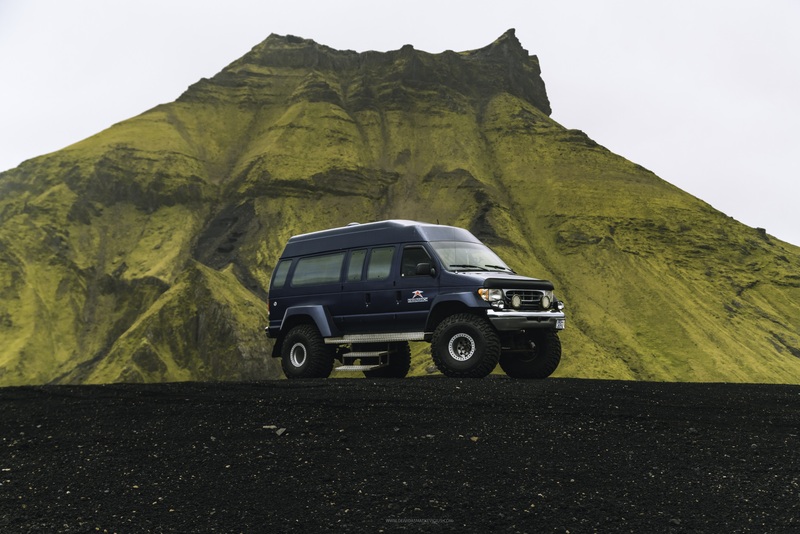 Full immersion into Iceland driving through amazing landscapes with the superjeep. Special thanks to “Pessy” for making us feel in complete harmony going into the ice caves and for explaining everything about glaciers and caves. We recommend this tour ad much as possible!! I had an incredible time ice caving with KatlaTrack. Our tour guide was passionate and enthusiastic about our trip, and eager to tell us stories of the folklore that so characterizes the area. The ice caves themselves were truly magnificent, like natural cathedrals, and made for some fantastic photographs. Could not recommend this tour more highly. My first time in an ice cave and it was truly amazing! This is an experience that I will never forget, hearing the ice breaking reminds you how powerful mother nature is but at the same time you see the beauty of it. I highly recommend this tour, the guide was very informative about the glacier and took us deep inside the ice caves! This one really surprised me! I had no clue you could visit such a cool ice cave all year round. The drive was entertaining and informative. The tour guide was very helpful and fun to talk to. We took some amazing pictures in the ice caves that I will never forget! By far one of the best ice cave tours that i have been on! This was an experience I will never forget. We met our friendly guide at Vík village where we boarded this massive super jeep that took us across the black sands of Mýrdalssandur, on the "old highway". The ride was bumpy, but that was a part of the adventure. As we neared the caves, the landscape around started to look like something out of a fantasy novel or a fairytale, which is probably why this location has been used in several Hollywood productions, from Game of Thrones to Star Wars. The caves were also out of this world; shimmering, blue ice with dark strips of volcanic ashes. At some places, meltwater from the glacier dripped down to the ground and created a beautiful rainbow in the sunlight. We explored two caves, and after some adventurous climb up the ice, were rewarded with breathtaking scenery. Although this was the fast-track tour of the caves, we had plenty of time to capture some amazing, once-in-a-lifetime photos. This tour into the glacial cavities of Mýrdalsjökull was sublime. Our guide drove us across the black sands of Mýrdalssandur recounting local tales and folklore, of the origins of the volcano Katla that lays dormant under the glacier, of necropants and highwaymen, witches, sheep and shepherds. We drove on a bumpy piste to the vast planes under the sand-clad glacier, a breathtaking panorama that has served as a location for Star Wars, Game of Thrones, Transformers and Noah. 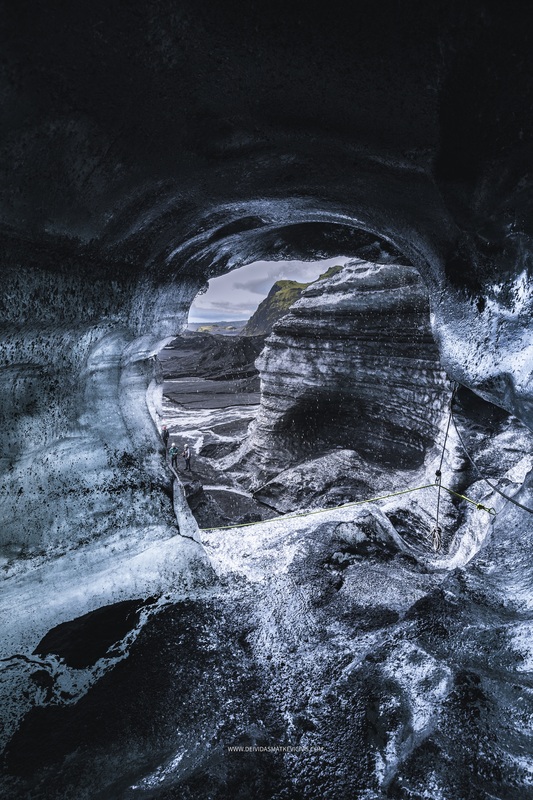 Before us the wondrous insides of the glacier opened, a magical doorway into the crystal dome of the everchanging caves, in luminous shades of blue, sculpted through thousands of years under the pressure of countless megatons of ice and more recently by sand and melting water. We climbed up and down, I was surprised at how deep we could delve towards what seems was the centre of the earth, reminding us of the writings of Jules Verne. I turned back at one point when the tunnel was all dark and the walls were closing in but happily I was cheered on and saw the most amazing formations deep within this palace of ice. The trip only took a few hours but seemed like a visit to some strange planet of otherworldly beauty. I went on the fast track tour because I was limited with time, but still got to see so much! However, if you have more time then add on the extra hour as you'll be able to visit more ice caves. There are several caves in the area and on this tour we visited 2 different caves (out of about 5 or 6 there), and I was surprised to see so much blue ice within them. One had several openings and spaces, and the other was a winding hallway of stunning ice in all colours (but you'd get a little dirty crawling through there). The surroundings of the caves were also incredibly beautiful and our guide, Davíð, was very knowledgeable and entertained us with folk stories from the area. The bright sunshine also helped make this memorable ;) Top marks, great ice cave tour - that's available all year round! From: Find the wooden cabin on the right site of the N1 gas station. You will find our super jeeps next to the cabins.